Hero Pups combines two things most everyone loves: Heroes and pups. According to its website, Hero Pups primarily places pups with veterans and first responders. "Our focus is on those who are dealing with post traumatic stress (PTSD), anxiety and service-connected challenges. By using shelter and rescue pups whenever possible, we are able to help relieve the symptoms while helping a rescue pup in the process." Hero Pups is no stranger to accolades or press, so definitely cruise around their website under news & events (such as the pups' March appearance on TV featuring the NH inmates who are raising them). And, if you're feeling philanthropic, check out the ways to give to this 501-C-3 CHARITY. Even if Laura Barker hadn't shown up for the award ceremony with her celebrity lab Liberty in tow, we would have been proud to give her the Small but Mighty plaque. (But what a bonus to have three (3) dogs for the photo op!) Here's to Hero Pups, and the woman behind them all! Portsmouth Eats offers tours with tempting titles such as the Sweet and Savory Tour, Best of Portsmouth Walking and Tasting Tour and the White Table Cloth Culinary Tour. Their site spells it all out for you, and says, "On your own, you might miss something, but with Portsmouth Eats, we will show you around as our guest. We'll introduce you to the top chefs and they will treat you to fine dining and delicious tastings. We'll guide you through a city with a firm place in American history. You can ask us anything about visiting and touring Portsmouth, because we are here to help make your trip a pleasant and delicious experience." In addition, Colleen is director of events and marketing for the Hampton Area Chamber of Commerce. Her path sometimes meshes with the tourism contingent at the Chamber Collaborative--for instance, she shared a booth with the Chamber at the NY Times Travel show in January and will also be sharing a booth with them at the Dream Destinations trade show in Springfield, Mass on April 28. Colleen attended Le Cordon Bleu, taking gastronomic tourism classes. Her son is a senior at UNH, double majoring in EcoGastronomy and mechanical engineering. If we’re taking the title of this award literally, the Children’s Museum of New Hampshire has it covered. After all, children are nothing if not small and mighty. But the February Small but Mighty Business of the Month award sponsored by Federal Savings Bank also qualifies in myriad other ways. Despite catering to mostly those under 4’ in stature, the museum--which opened in Portsmouth in 1983 and moved to its current Dover location in 2008-- packs a tall wallop with numbers such as: Number of visitors first year in Portsmouth, N.H.: 22,000; Number of annual visitors at Dover location: 93,000; Square feet in Portsmouth, N.H. location: 4,000 and Square feet in Dover, N.H. location: 16,000. No matter how you look at it, The Children's Museum of New Hampshire under the watchful eye of president and education director Jane Bard, has flourished! You can visit them via their terrific website, but we encourage you to head to Discover Portsmouth (and their marvelous Museum Shop) in person for best results. Discover Portsmouth is the December Small But Mighty Business of the Month, sponsored by Federal Savings Bank. November 2018 - REP Branding Co. The November Small But Mighty Business of the Month sponsored by Federal Savings Bank is REP Branding Co. This social branding agency works with businesses to build a community of engaged and loyal fans around its mission. REP works with brands across the lifestyle industry and pride themselves on being bringing the fun back to marketing. Robin Pinzone, the creative head of REP, has donated her time to the Chamber Collaborative of Greater Portsmouth by offering a number of presentations to fellow chamber members. SHOWN: Bill MacDonald, networking engineer, The Chamber Collaborative of Greater Portsmouth; Robin Pinzone, REP Branding Co.; and Valerie Dyer, assistant vice president of business development at Federal Savings Bank. 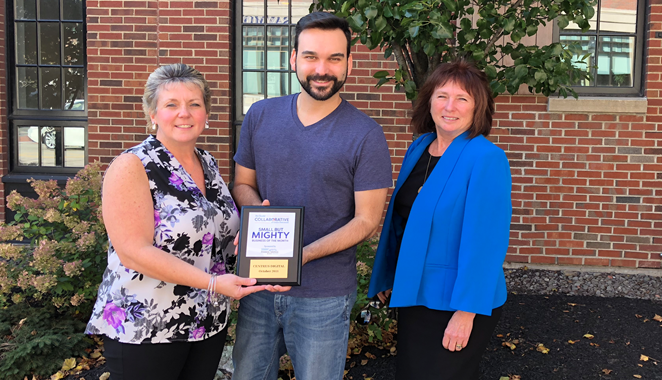 Congratulations to Centrus Digital, the October Small But Mighty Business of the Month sponsored by Federal Savings Bank! Centrus (formerly Sharper Selling) is a digital marketing agency that moved to Portsmouth in 2016 and has been proving that small businesses can tackle mighty projects of any scope. They do this through collaboration and partnerships with other Chamber Collaborative members helping national and global brands grow their businesses through online advertising. The September Small But Mighty Business of the Month sponsored by Federal Savings Bank is HAVEN. HAVEN serves women, men, and children affected by domestic and sexual violence. HAVEN is the largest violence prevention and support services agency in NH. The need to eliminate domestic and sexual violence, while supporting individuals and families, is greater than ever. Your support will help us better serve Rockingham and Strafford Counties, ultimately making the Greater Seacoast a safer place to live. 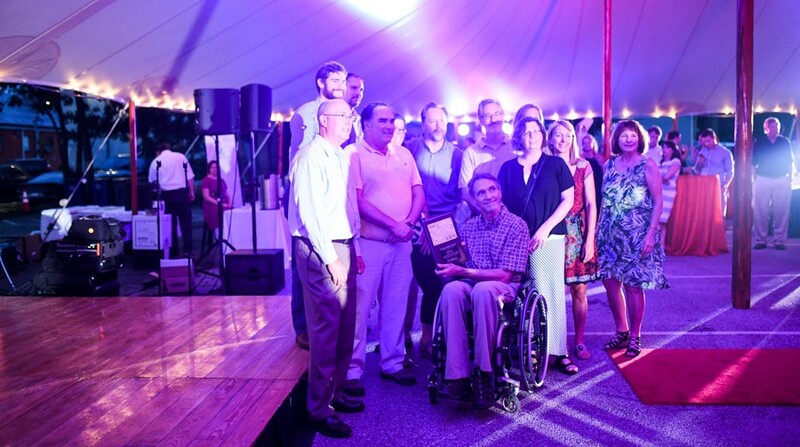 August 2018 - JSA Inc.
Now that the big reveal is over, the Chamber Collaborative is pleased to announce that not only is JSA Inc an Annual Dinner Award winner, but they are also our August Small but Mighty Business of the Month Sponsored by Federal Savings Bank! JSA Inc is a nationally recognized architecture company based in Portsmouth, NH that focuses on designing environments that make a positive impact on the lives and communities in which we all live, learn, and work. JSA Inc is also the creator of Access Navigator, a platform that provides online accessibility maps and listings to help people with mobility challenges stay engaged in the community. Their latest accessibility map is their New England Microbreweries that can be found here! Keep up the great work, JSA Inc! We are excited to see what else you'll bring to our community. July 2018 - Daystar, Inc. Please join us in congratulating Daystar as they have been recognized as the July Small but Mighty Business of the Month Sponsored by Federal Savings Bank! Since 2000, Daystar has been a serving the technology needs of Seacoast businesses and nonprofit organizations. The company is committed to their clients and focused on helping them align technology within their operations to reach their goals and grow their businesses. Daystar is involved in our community by donating to many local organizations such as The Music Hall, New Heights, the Dana-Farber Cancer Institute, Richie McFarland Children’s Center, Cornerstone VNA, and the High Hopes Foundation, and more. Congrats, Daystar! Keep up the great work. We are excited to announce the June Small But Mighty Business of the Month has been awarded to The Chase Home For Children! Offering both residential and home-based services, the Chase Home meets the needs of at-risk youth and families in New Hampshire. The Chase Home is a powerful example of a grassroots response to an identified need within the community. Thank you to The Chase Home for Children for being a big part of the Portsmouth community. Another big thank you goes out to the Small But Mighty Business of the Month Sponsors, Federal Savings Bank! Please join us in celebrating our May Small but Mighty Business of the Month Presented by Federal Savings Bank, the Cooperative Venture Workspace! With Scott Blidberg and Emma Partridge managing the space, the Cooperative Venture Workspace is a coworking space that provides an excellent place to work, as well as a thriving community for businesses of all sizes. The Workspace donates their space for The Collaborative's monthly Morning Mixer networking event. The Collaborative and the Seacoast community are lucky to have this unique coworking space in our area. Big thank you to Federal Savings Bank for sponsoring the Small but Mighty Business of the Month program and congratulations to the Cooperative Venture Workspace! 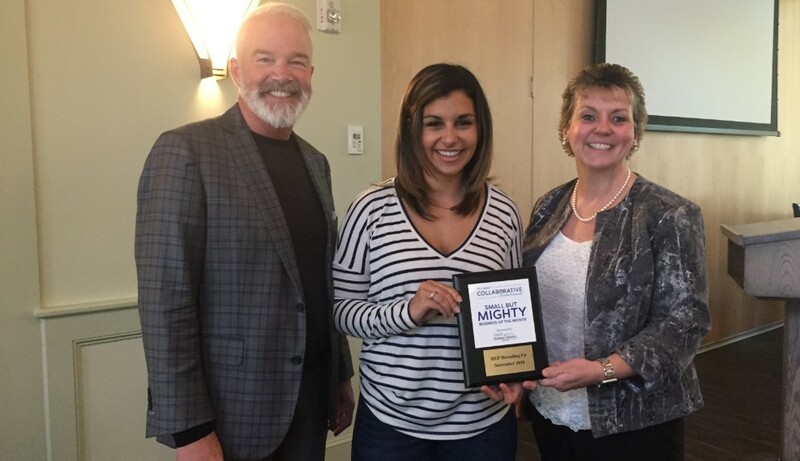 Congratulations to our friends at Nibblesworth as they are the April Small but Mighty Business of the Month Presented by Federal Savings Bank! Nibblesworth splashed into the Portsmouth community this past fall and features delicious handmade plates, with all ingredients sourced locally. When Nibblesworth isn't providing the Chamber Collaborative's Morning Mixer with tasty pączki treats, they're partnering with local businesses or hosting events in their beautifully renovated restaurant. Please join us in thanking Jenny, Tom, and the entire team at Nibblesworth for diving into the Seacoast community. The March Small but Mighty Business of the Month was awarded to Barre & Soul Portsmouth! The Barre & Soul method fuses ballet conditioning, pilates, yoga and calisthenics with great music, high-energy and supportive community. For over three years Barre & Soul has offered in-studio classes at their 163 Court Street studio, as well as community building events. Thank you for all the work you do for the community Barre & Soul! The Greater Seacoast is proud to name you as our March Small but Mighty Business of the Month. The Chamber Collaborative is pleased to award the February Small But Mighty Business of the Month to Darci Creative! Owner & Creative Director Darci Knowles and the entire Darci Creative team, have been long-term partners and collaborators of the Chamber Collaborative. Darci Creative has spent the past 25 years in the small business community. The latest from Darci Creative is the launch of the expert level marketing agency, Brand Muffins, which focuses on affordable branding packages for small businesses. From working with our small business community to being a long time supporter of Veterans Count, Darci Creative exemplifies our Small But Mighty Business of the Month program!